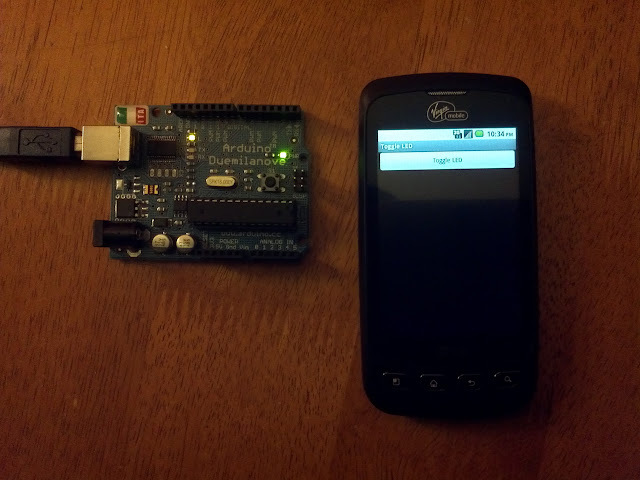 Control Anything With Your Android Phone and Arduino From The Internet. No Ethernet Shield Required. "If you can blink an LED you can do anything", I don’t know who said that but I hear it a lot whenever people ask what they should do first to learn to program microcontrollers, and it’s true! So in this tutorial I will will show you how you can blink an LED with your Android app from anywhere where your phone has internet connection. Here is the result of what you’ll be making. If you understand everything that is going on in the code presented in this article it is not hard to see how the code can easily be modified to control anything with your phone from anywhere in the planet where your phone has an internet connection. This is the code in your server that will receive the data from your phone and send it to the Arduino. Make sure that you change the COM port to the COM port you are using. This code receives the value from the server code, if the value matches the expected value from the app the led will toggle. Am using the Arduino’s built in LED on pin 13. The code the app will send is the value "1", in the Arduino "1" is equal to 177, that’s why am checking for 177 in my switch statement. 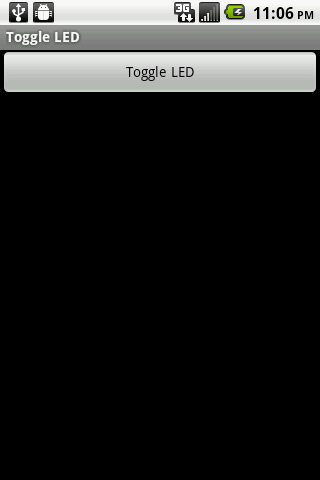 Make a standard app in eclipse and call it helloworld. Remember to replace com.yoursite.helloworld with your package name. You could use "id" parameter in your PHP code as well, this is not implemented here, we’re only receiving the contents of the parameter "message" which in this case is the value "1". Add a database that stores that state of the items you are controlling e.g. on/off , open/closed, hot/cold/warm so that with your phone you can read the state of those devices. instead of an Android app, make the interface to your house a website. A website can be access with anything that can open a webrowser not just an Android device.